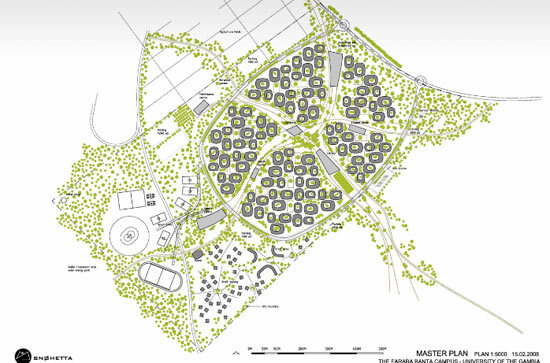 park for generating energy, a waste management centre and locally done water harvesting. 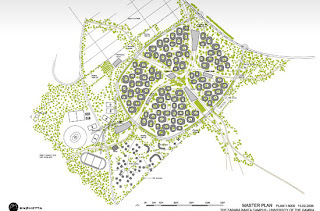 because themasterplan for the university was previously undeveloped, there was no infrastructure, allowing the architects to re-invent the established western conventions. 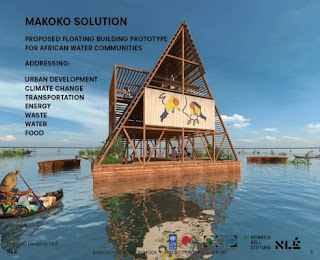 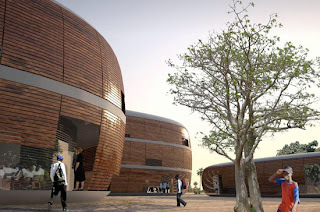 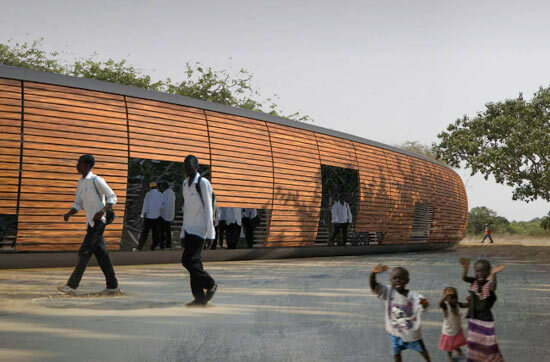 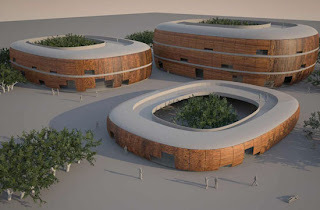 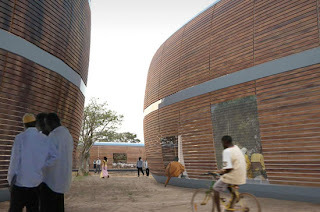 snohetta worked to develop a campus based on gambian traditions in architecture and culture..."